Sure it's a mistake! Mini cassette doesn't make sense!! Maybe they mean music cassette? That would make sense and it also shortens to MC. Besides, as far as I know it is a know abreviation for music cassette. Maybe the new album will actually be called "Rewind"
I think the song Raise Your Banner will not much be changed in its structure that the was was leaked.. I guess it was only a bad quality of the song,not a demo..
Sharon & the boys must be in such a nostalgic mood! Maybe it is the start of the return of the record shops..........now, wouldn't that be absolutely marvelous!! 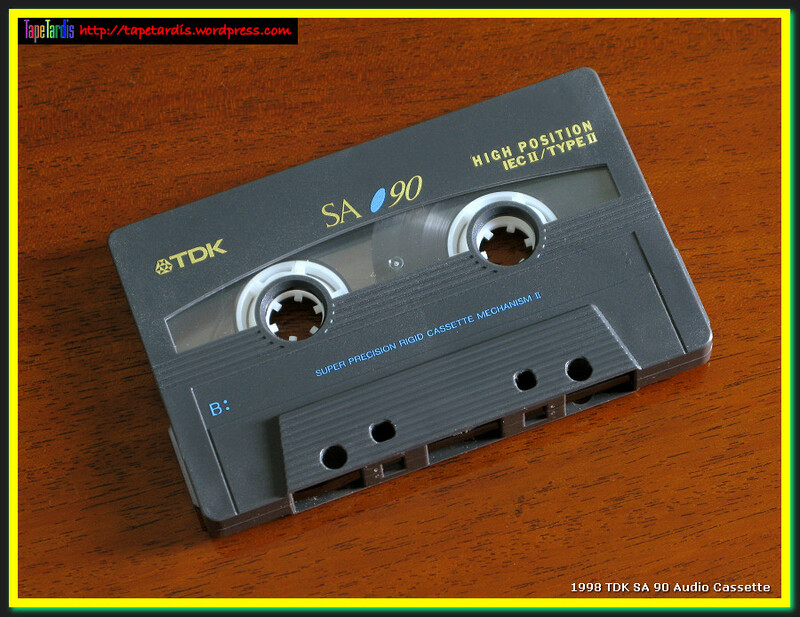 Indeed, MC has Always been the abbreviation for music cassette, those things that I have taped thousands hours of music on. For our youngsters...this is what they looked like......my favourite brand....the TDK SA-90! I'm thinking it will be pretty much the same, which isn't a bad thing. The leak just seemed to be unmastered. I really hope they are about to release "Raise Your Banner" (since we somehow already've heard it). I would like 'em to save some previously unheard material for the album. On the one hand, yes. On the other, since they will be playing new songs on the tour I wouldn't mind knowing another song they will play before going to the show. On the other, since they will be playing new songs on the tour I wouldn't mind knowing another song they will play before going to the show. I haven't used any sort of cassette in like... 15 years., and that won't change. I don't use picks. I don't play poker. So, standard edition it is, then. And if I like the songs, I'll just buy the Instrumentals on iTunes. Sacrifice quality - do a favor to my wallet. Apparently that was one of her issues of the last years. Had a quiet inkling that was the case when I read about her troubles. Hope they stay together. It's typical that you do read this kind of stuff in a Dutch women's magazine, but not in any metal/music one. Much more open. I thought something like that! If someone reads the whole interview, can please post traslation here? Well, here we go. In a few hours, we'll have new songs... in the form of crappy phone videos. I for one will not be watching. Well crappy phone videos are not that crappy anymore. Normally I wouldn’t listen to them but I don’t know if I want to see them live without knowing the new songs. I may give them a spin. Of course it depends on how many they’ll play. If asides from TR and RYB they play like two songs I probably won’t listen to them but if they play like 5... I don’t know. They can... look nice. But comparing the sound quality, audience noise included, to a studio recording in my living room on high-end speakers... Yeah. First time's gotta be special. I just realized, though, I'm seeing them myself in just one and a half week. Wow. I just realized though, I'm seeing them myself in just one and a half week. Wow. Just saw the setlist. I won't post it, I won't spoil you, but I let you know that I'll hate you all so much Nah, seriously, enjoy the concert, you'll surely have a great time. And I do hope the setlist stays the same until next year, which is likely they visit South America. The Howling closing the show is genius (that setlist posted above is missing the encore). And Stairway to the Skies being there at all. Hope they keep it for the whole tour. I wonder if RYB is coming tomorrow.